New technologies for creating efficient low cost lithium ion batteries are currently being developed for large scale manufacturing. Many methods are researched to show the benefits of using lithium iron phosphate (LiFePO4) as cathode material over other Li-ion based substances such as lithium manganese or lithium cobalt. Solid state synthesis, coprecipitation, and sol-gel are such techniques being used to fabricate LiFePO4 powders. A major flaw found in these powders is its electrical conductivity being only around 10-9 S/cm compared with that of lithium cobalt (around 10-3 S/cm). By creating smaller sized particles, carbon coating, and adjusting of temperature/atmospheric conditions, improved electrochemical performance can be achieved. 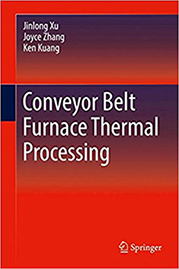 This paper will give an overview of furnace firing parameters and methods of LiFePO4 production.